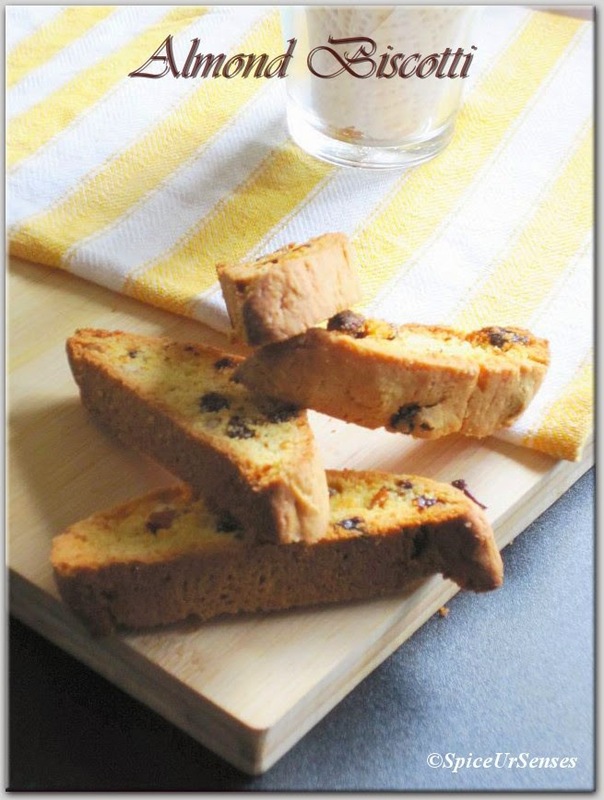 Almond Biscotti. 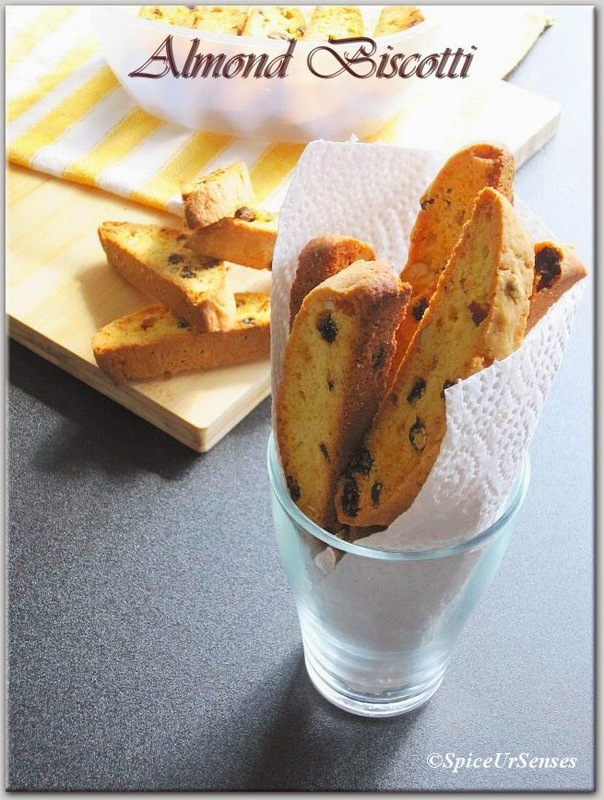 I have tired baking this in India also many times but when I baked the same biscotti again here I don't know some how they taste better and they look better may be because of the different oven. My hubby surprised me by finishing it all in 2days even I ate more then 3 and it was tasting awesome. He was telling me that I have wasted so much of money buying cookies, biscuits from outside, this taste better then that and I would love to have this in my lunch box as a evening snacks... Omg I was on the could nine when he told me that because it is little hard to convince my H when it comes to food.. 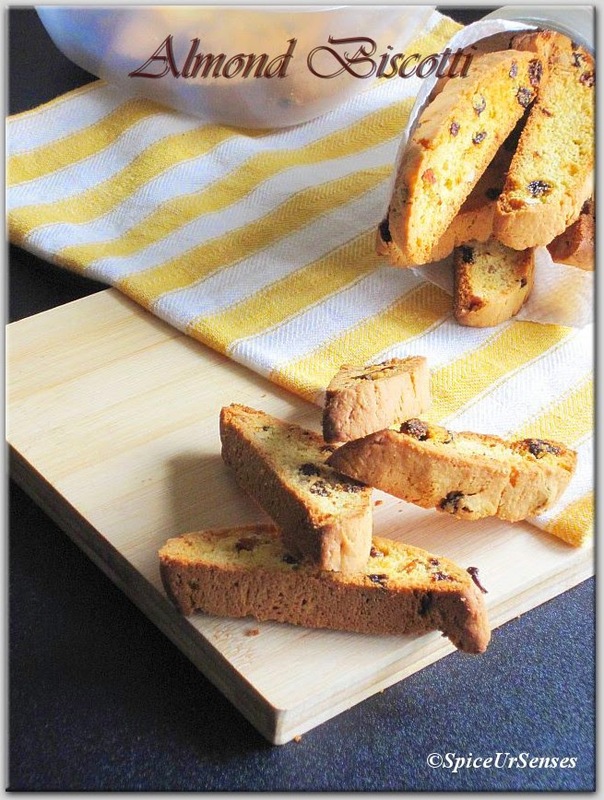 This yummy and crunchy biscotti which goes very well with tea or a coffee..
Pre-heat the oven 180c for 10 minutes. 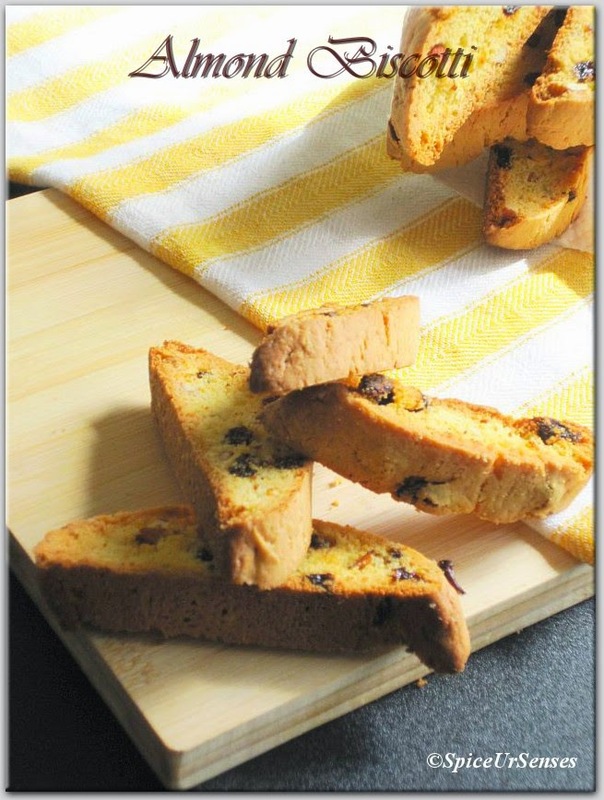 In a mixing bowl add flour and baking powder and mix them nicely. roughly chop the alomonds and mix it with flour and set it aside. In a large mixing bowl, add butter and sugar beat untill light and fluffy. Then mix in the dry ingredients and beat untill the dry ingredients are well mixed. On a lightly floured surface roll dough into a log about 14 inches long and 3-4 inches wide. Transfer to baking tray and bake for 30-40 mins. Remove from the oven and cool on a wire rack for 10 mins. Then cut into slices 1/2 inch thick diagonally and arrange evenly on baking tray. Bake for 10 mins on each side (until they are firm). Remove from oven and cool. Store them into airtight container. Wow, picture perfect professional looking biscottis. They look perfect and delicious! I had made this sometime back but never blogger coz the pics didn't turn out good. Yours look delicious and perfectly pictured. 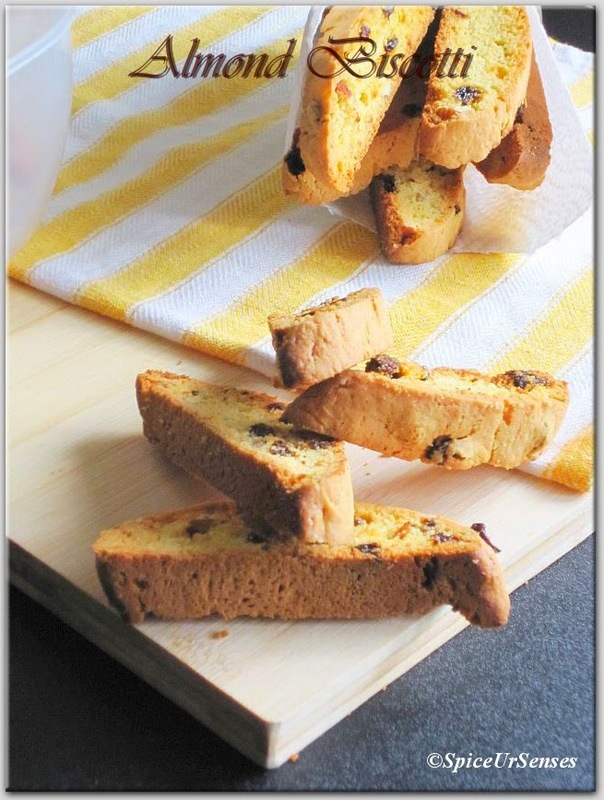 Biscotti has come out perfect, looks yum.. 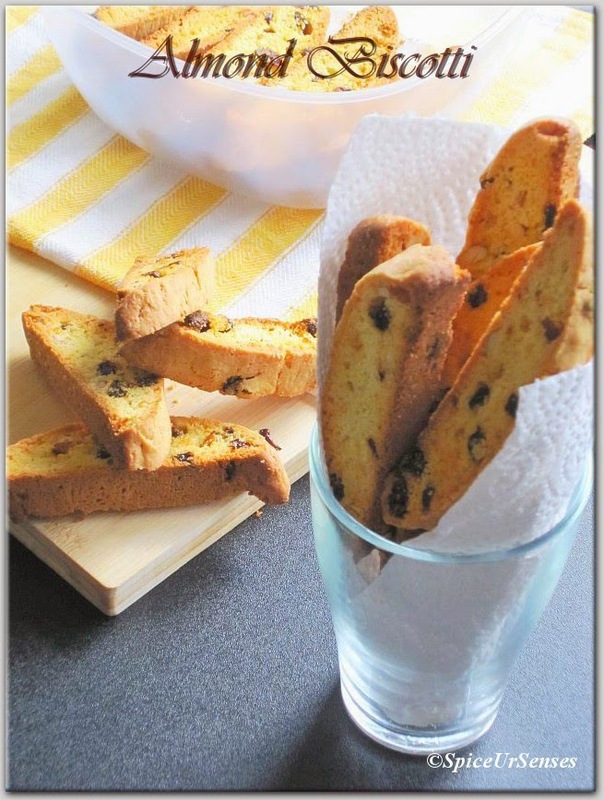 He is rite, worth trying this biscottis at home, they looks just stunning. Biscottis look perfect and very beautiful clicks..